Iqbal acknowledged that the First World War had left scars on the hearts of sensitive writers and unfortunately there were not enough remedies in colonial Europe to help these writers regain their grip on reality. 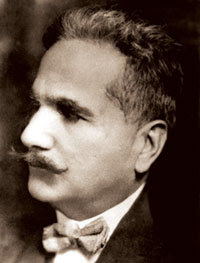 Iqbal believed that remedies could possibly come from America and the East (especially the Muslim East). However, they both should realize that "the flame of life cannot be borrowed from others. It has to be kindled in the temple of one's own soul." Why the views of people like Iqbal and Taylor have been blacked out so completely in academic circles?